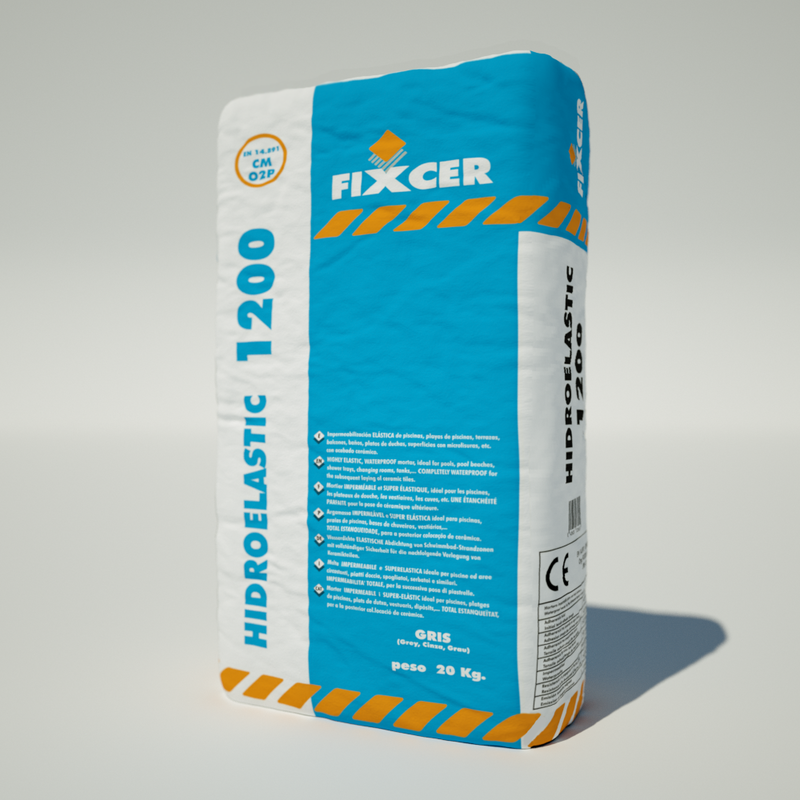 HIGHLY ELASTIC, WATERPROOF mortar, ideal for pools, pool beaches, shower trays, changing rooms, tanks,...COMPLETELY WATERPROOF. 1) ELASTIC waterproofing for pools, ponds, tanks, canals, etc. for the subsequent laying of ceramic tiles. 2) ELASTIC waterproofing of pool beaches with complete safety, for the subsequent laying of ceramic tiles. 3) Waterproofing of ceramic shower trays with maximum elasticity. 4) Waterproofing of balconies, terraces, outdoor rooftop terraces,.. for the subsequently laying of ceramic tiles. 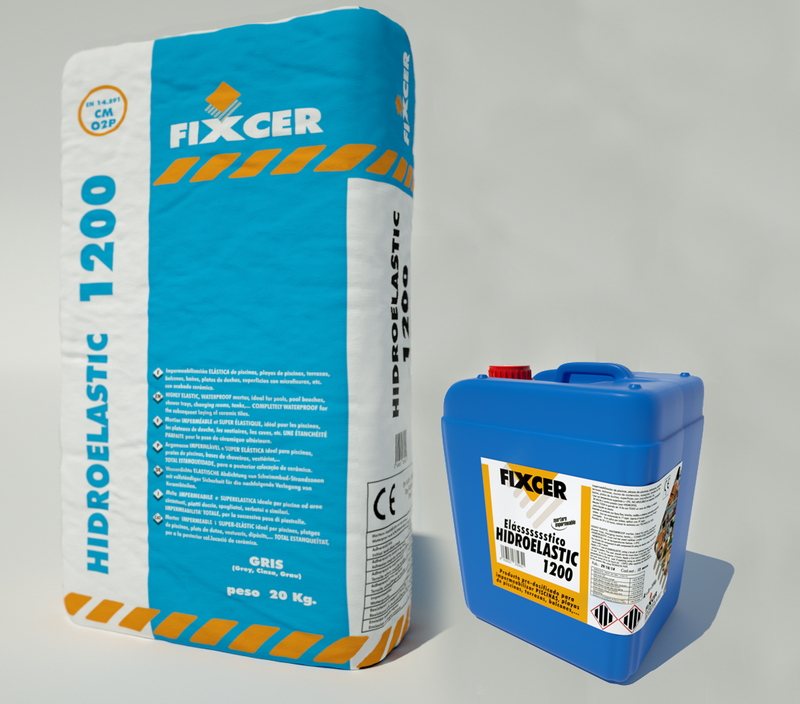 HIDROELASTIC 1200 is a pre-dosed product: DO NOT ADD ANYTHING ELSE; pour the liquid from the small tub into the large tub and then add the powder. MIX using an electric mixer. 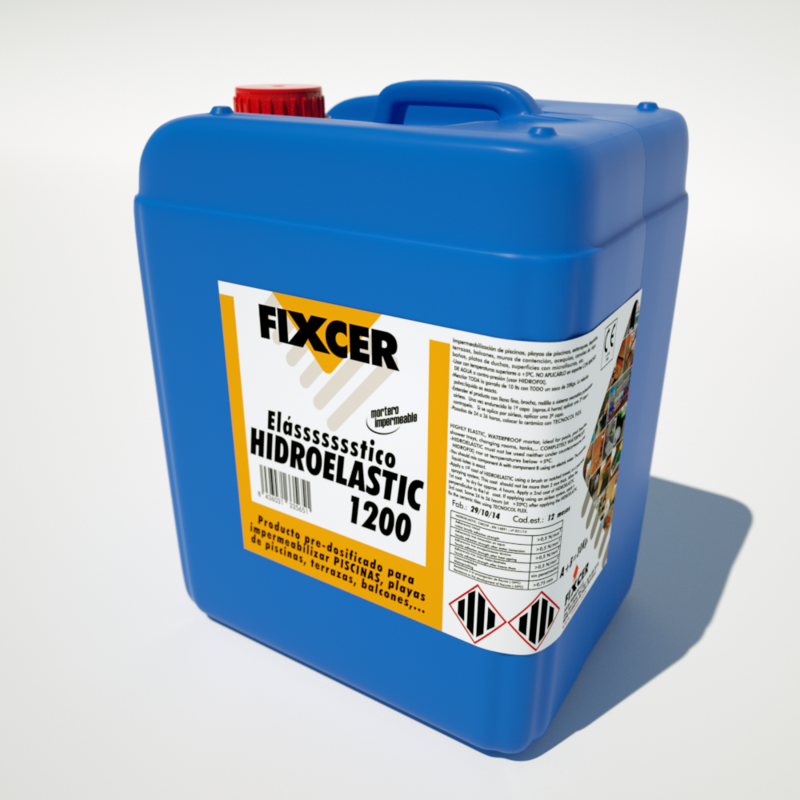 The resulting mixture must be homogeneous; apply a 1st coat of HIDROELASTIC 1200 using a brush or notched trowel, or a pneumatic spraying system. This coat should not be more than 2 mm thick. Allow the 1st coat to dry for approx. 4 hours; apply a 2nd coat of HIDROELASTIC 1200 perpendicular to the1st coat. If applying using an airless system, apply a 3rd coat.